​The flowers, besides being very useful and attractive to bees, have supplied a perfume, and a water distilled from them has been used for flavouring. The dried plant has been employed to scent snuff and smoking tobacco and may be laid among linen for the same purpose as lavender. When packed with furs, Melilot is said to act like camphor and preserve them from moths, besides imparting a pleasant fragrance. and thin to at least 18 inches apart. Melilot transplants easily. 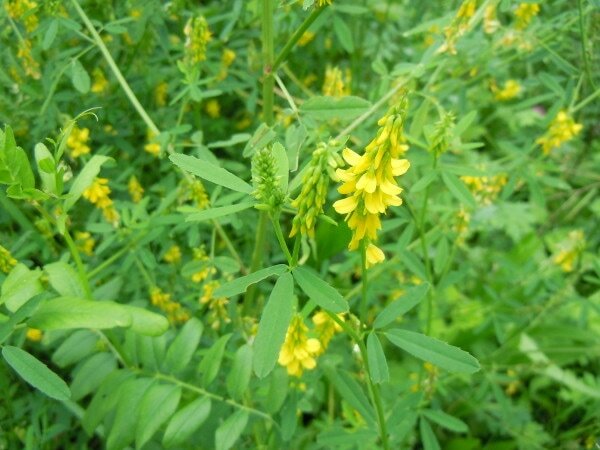 The herb has aromatic, emollient and carminative properties. Applied as a plaster, or in ointment, or as a fomentation, it is an old-fashioned country remedy for the relief of abdominal and rheumatic pains. It relieves flatulence and in modern herbal practice is taken internally for this purpose. It is also good for inflammation of the eye.